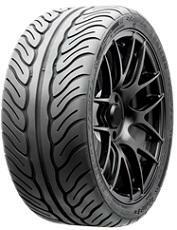 All-Season Passenger Car tire Specifically Designed for Competition Track Use and Ultra High-Performance Driving. Highly recommend for anybody that drives their car hard into corners as the tyre grips excellently. I even drove on it flat and the reinforced sidewall saved the tyre from being destroyed. I think this brand is something new on US market, i drove almost 10k without any fastidiousness. They hold dry road pretty well, low snow is ok too. Tread wear is good, overall not bad.